Inquiry into the case of Harrison Jacobs, 22-year-old San Pedro resident was held on Tuesday, February 14th at the San Pedro Magistrate’s Court. Jacobs appeared with his attorney in front of Magistrate Sharon Flowers where his case was committed to the April 19th session of the Supreme Court for hearing. 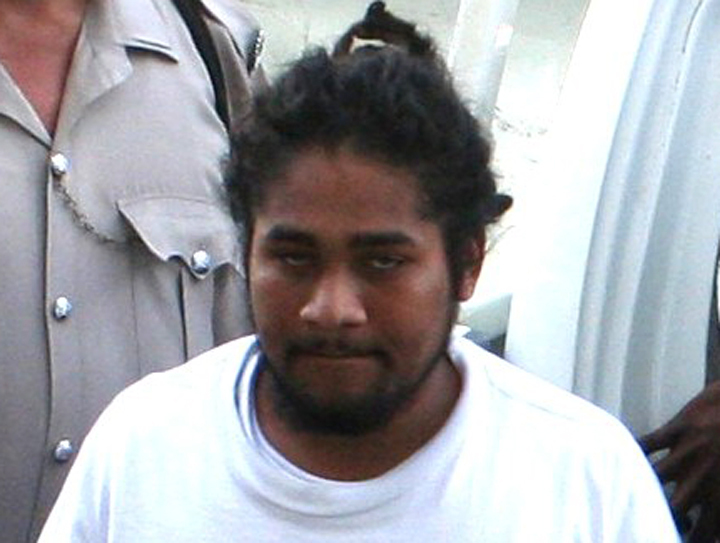 On Thursday February 17th, 2011, Jacobs aka "Bin" appeared in the Magistrate’s court in Belize City to answer to charges of murder for the death of 20 year old Francis Alexander Figuerroa Cardenas, which occurred on November 28, 2010. In the early morning of Sunday, November 28th, three gunshots were heard in the San Juan area towards the lagoon off Jew Fish Street. Shortly after, a forth gunshot was heard. "Sometime before 5:40AM on Sunday, November 28th, police were called to the corner of Seaweed and Sand Piper Streets in the San Juan area of San Pedro Town. There, Police observed a dark skinned person of Creole descent, leaning in a sitting position on a blue concrete fence with what appeared to be a single gunshot wound to the head. The man who was known to police as Bejon Wade was later identified as 20 year old Francis Alexander Figuerroa Cardenas. Mr. Cardenas is of a Belize City address, but was reportedly working on Ambergris Caye." Cardenas was allegedly beaten and tortured on an isolated road in the San Juan area after which he escaped and was running for his life when his attackers caught up with him just outside his area of residence. He was shot in the head and left to die. When police arrived at the scene, Mr. Cardenas was still alive. He reportedly succumbed to his injuries around 7:15AM on Sunday, while undergoing treatment at the Otto Rodriguez PolyClinic II. His body was taken to the Belize City morgue where a post mortem examination declared that he died from massive brain damage caused by a gunshot wound to the head. At the Magistrates court, Mr. Jacobs was charged for the crime of murder. Due to the nature of the crime, no plea was taken from Jacobs and bail was denied. Following his appearance at the Magistrate’s Court here in San Pedro, he was again remanded into custody at the Hattieville Prison until April 19, 2012 where he is scheduled to appear in the Supreme Court.